Cooking – Teaching – Entertaining – My Passions Combined! Greetings! 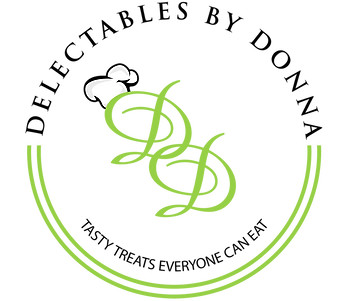 I am Donna Barrow, Certified Personal Chef and owner of Your Plate or Mine, Inc., and I have been delighting friends and family with mouthwatering dishes for years. After spending over 20 years in the field of education, I am taking my cooking to others by preparing delectable dinners and restaurant-inspired cuisine for individuals, families and small groups. Inspired by my family, I have been cooking not only traditional and gourmet fare but yummy and delicious alternatives for those with special dietary needs. A “So-Cal Gal” with Louisiana and Mississippi roots, I have refined my culinary crafts into personalized versions of California Cuisine. In addition to modern classics like Beef Tenderloin with Balsamic Fig Sauce and Roasted Brussels Sprouts, my clients relish my California Jambalaya -vegetarian style, a Cajun-spiced rice dish loaded with zucchini, artichokes, mushrooms and green chilies, Black Lentil Enchilada Stack with Cashew Crema and a satisfying how-can-it-be-gluten-free Mac & Cheese casserole. 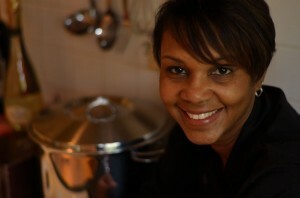 Staying connected with my background as an educator, I love to teach children and adults how to cook. I have a ball leading classes at local recreational cooking schools as well as providing in-home, personalize cooking lessons. Many novice cooks, aspiring chefs and foodies are benefiting from the culinary skills they learned in the comfort of their own kitchens. I have lived all my life in Los Angeles, the entertainment capital of the world, and been fortunate to have opportunities to present live cooking demonstrations. As an extension, in-home dining entertainment is a big part of my culinary cache. I have led team-building interactive cooking parties, demonstrated how to make crispy chicken using actual bricks, and helped guests to prepare the dessert course for their dinner-in with friends – all incredibly lively and unique experiences! My culinary training includes completion of the professional program at the Culinary Classroom (West LA); as well as graduating from the Culinary Business Academy. I have also enjoyed classes at the New School of Cooking (Culver City) and the New Orleans School of Cooking. I am a premier member of the USPCA, ServSafe certified, insured and licensed.